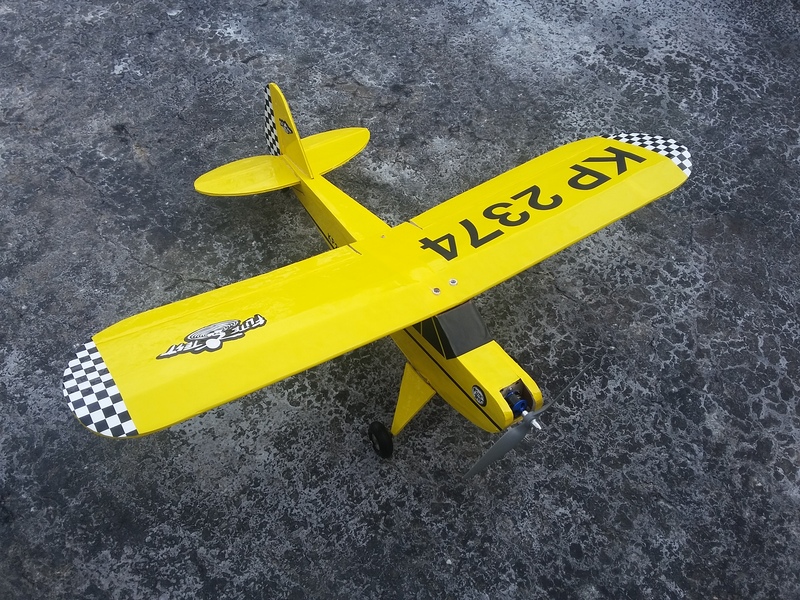 I have been a rc modeler for 15 plus years. 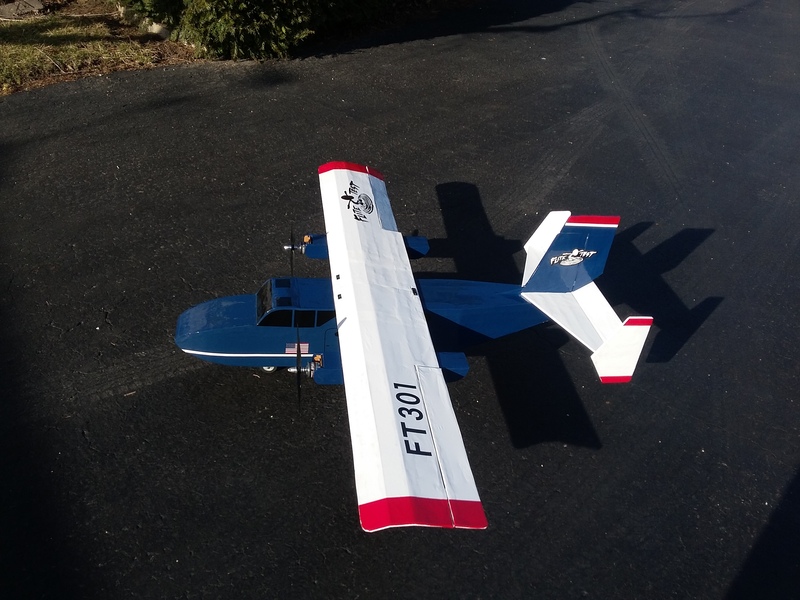 Have built and flown all makes and models...gas large scale to foam to electric 3d scale etc. I stumbled on this web site by mistake and was immediately interested. Built the cub and decided to cover it. I have to say impresive. The engineering is clever and these designs are much stronger than they look. 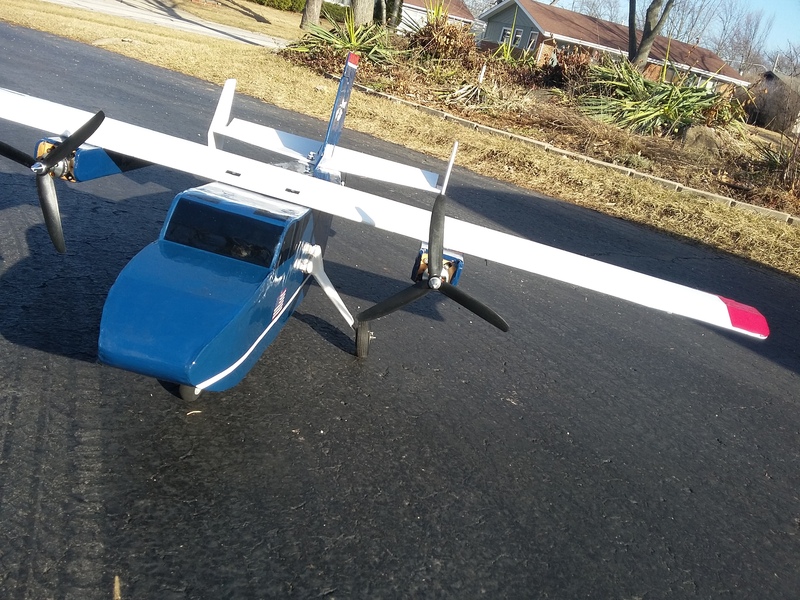 Hot glue and little epoxy modified the wing mount screwed in place instead of rubber bands. Total weight with battery 2200 3cell pack is 1.5 lbs. 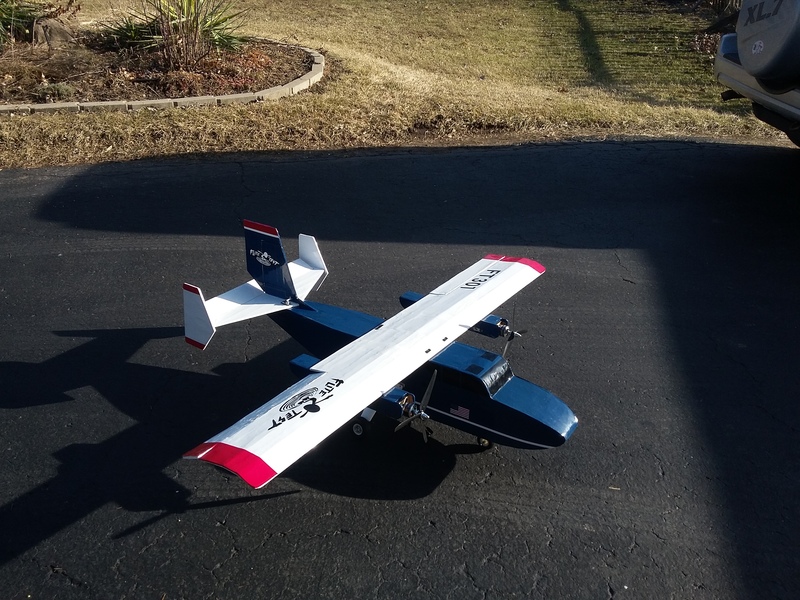 Just flew it this past week flies great and handled the wind better than expected. Doesn't like cross wind needs more rudder. 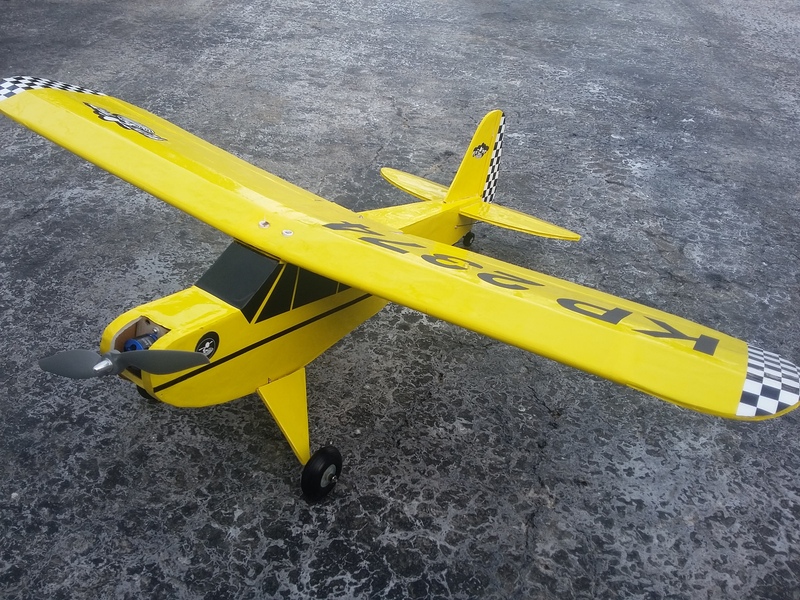 Otherwise a fun little plane just to putt around with. Approximately 8 minutes flying time. Wow! It looks really good! My first FT build was the Mini Guinea. What did you cover with? Used hangar 9 ultra cut yellow and black auto pinstriping. Have to be careful with the heat setting on the iron. About middle on the heat for flat areas and a little more heat on the edges. Work middle to outer edges slowly and you may have to pop some bubbles. The covering will shrink up just don't over shrink it otherwise you can warp it. There is a learning curve to it but not really hard. Now I'm building the large guinee pig plane with a few mods . Will be covering that plane also. Have close to 100 hrs in it already. Really tedious to cover and lots to do. 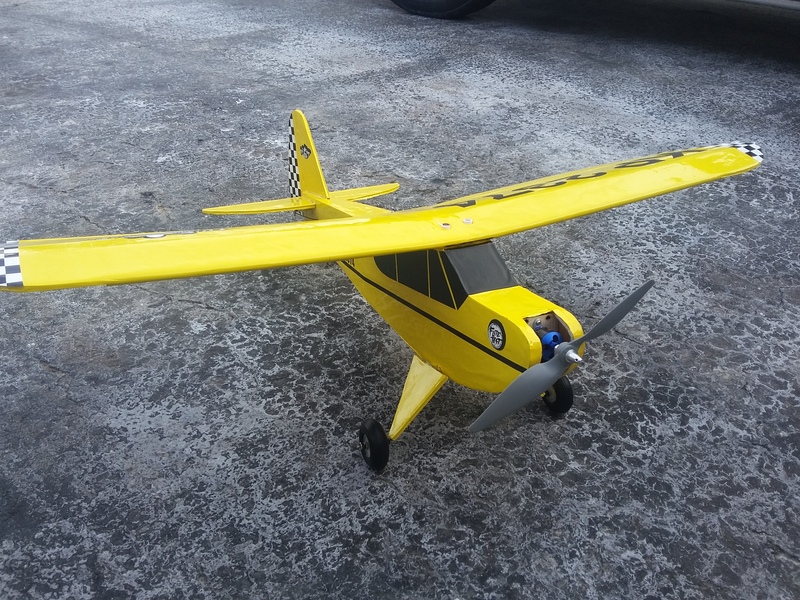 Custom nose wheel main landing gear and battery tray . Also wing mount. Will post pictures soon. Gotta love these kits extremely easy to assemble . Nice work for a first FT plane. What other models did you engineer? Looks great. I never thought of covering foamboard with film, it really gives it a professional look. Looking forward to seeing your GP! Ok. I've just got to say it. You've got it going on! That's a fantastic looking build! Not surprising considering your experience level, but still, absolutely beautiful! Thank you for sharing that. So my second ft build was the guinea pig. I also covered it but used monocote this time . It's a little thicker covering so is better on large surfaces. And a few stickers to spice it up . 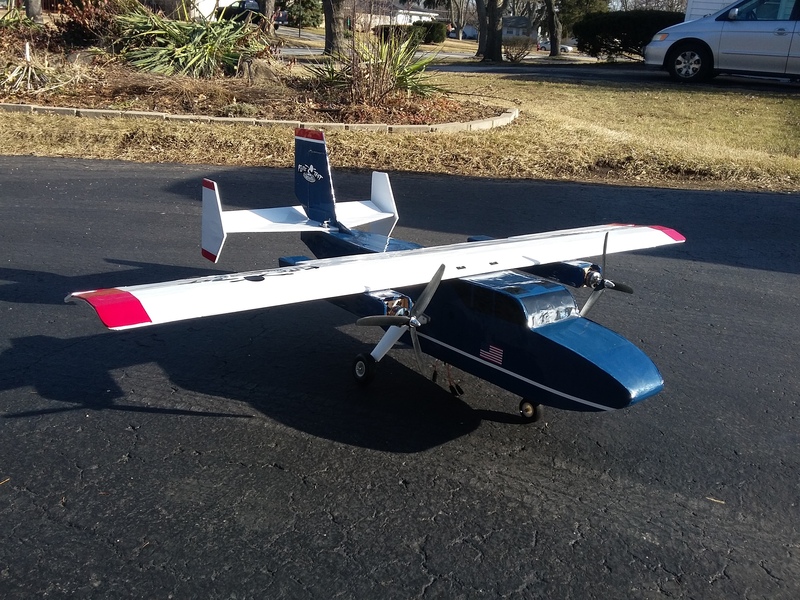 Changed up the design was shooting for a cruiser plane long flights and a sturdy landing gear for off field landings or grass. 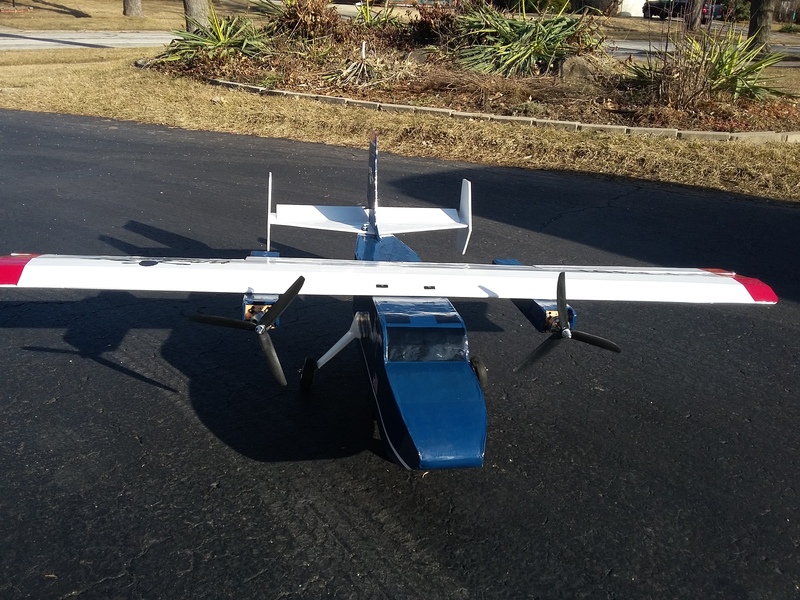 Made s steerable nose wheel added custom main gears made the wing screw on for more strength and a custom battery tray that holds 2 3300 3 cell packs. Total draw 42 amps at 497 watts with a total weight of 4.2 lbs gives me around 110 watts per lb at full throttle. So figuring n flight half throttle or a little more around 35 amps on 6600 mAh. Should be around 7 minutes of flying. Not bad most of my fleet is 5 min or less. Not bad for a sheet foam plane and it is really strong . Added a few extra braces . I disabled the rear door at this time might add that later. Have not flown it yet Chicago weather windy and chilly. Hope I can soon. The main gear looks cool. Nice build. I might have to splurge and buy and iron so I can try it.